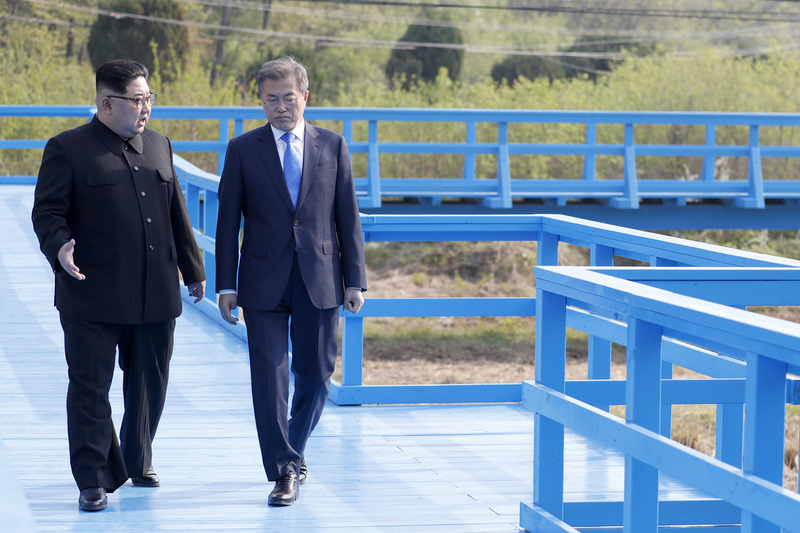 North Korea Pledges To Shut Down Main Nuclear Test Site In May, South Korea Says : The Two-Way North Korea's leader told South Korea's president he would invite security experts and journalists to the site. South Korea's president also spoke with President Trump about a U.S.-North Korea summit. South Koreans were hopeful — though as NPR's Anthony Kuhn reports — skeptical. The agreement was short on details. Some "feel they've been sold this horse before — and once the euphoria wears off, they warn, North Korea will still have its nukes, diplomacy will have failed and the threat of war will have only increased," Anthony reports. On Sunday morning in the Unites States, officials were also less than convinced by Kim's promises. In an appearance on CBS' Face The Nation, National Security Adviser John Bolton said that while the Trump administration is "hopeful that we can get a real breakthrough," he said it was not "naive." "We want to see real commitment; we don't want to see propaganda from North Korea," Bolton said. "We've seen words, so far."